When you are in the midst of running a business at full speed, it is difficult to take the time to organize data as thoughtfully and thoroughly as you would like. There always seems to be a more pressing need demanding your time instead of creating storage space and relocating data that isn’t used anymore but most definitely must be saved. Microsoft Azure’s Blob Storage Lifecycle Management tool can help your organization keep the most pertinent data you need readily available while sending the data you’re done with elsewhere. 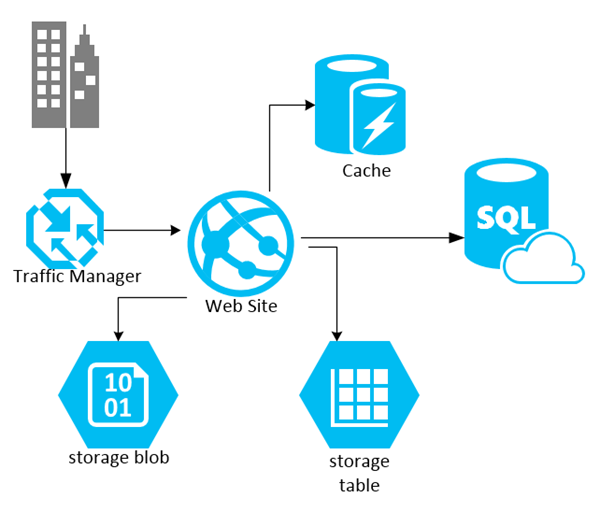 Azure Blob Storage lifecycle management offers a rich, rule-based policy which you can use to transition your data to the best access tier and to expire data at the end of its lifecycle. Apply rules to containers or a subset of blobs (using prefixes as filters). Consider a set of data that is accessed frequently during the early stage of the lifecycle, is needed only occasionally after two weeks, and is rarely accessed after a month and beyond. In this scenario, hot storage is the best tier option after the data ages over a month. By adjusting storage tiers in respect to the age of data, you can design the least expensive storage options for your needs. To achieve this transition, lifecycle management policies are available to move aging data to cooler tiers. Data sets have unique lifecycles. Some data is accessed often early in the lifecycle, but the need for access drops drastically as the data ages. Some data remain idle in the cloud and is rarely accessed once stored. Some data expire days or months after creation while other data sets are actively read and modified throughout their lifetimes. Let 2W Tech show you how Microsoft Azure Blob Storage Lifecycle Management can simplify your data usage. We are a Microsoft Gold Partner, and we have IT consultants on staff who are Microsoft Certified experts who can guide you through your Azure cloud deployment – if you’re not in this hybrid cloud yet – and help you choose the services that are best for you. Contact us today.